Written by SoundFX.studio on November 6, 2018 . Distance Explosion Sound – The Explosion in the Distance sounds from the Explosions and Bullet-Rocket Hits SFX. It is well suited for the sound of huge explosions in the distance. Play it randomly to get a realistic sound. 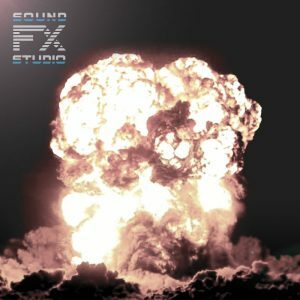 The Explosions and Bullet-Rocket Hits FX library includes 53 audio files of various types of explosions, as well as sounds of bullets and rockets hit different vehicles.